MonaVie Review – What Is This Company all about? A lot of people are interested in direct sales and other types of network marketing. One opportunity that is out there, and one that is very well-known all over the world, MonaVie. Since there are literally thousands of opportunities out there, it is important to understand which company is the best one for your specific needs. If you are interested in multi-level marketing, you should firstly look into your sponsor – this is the person who will be above you in the company. They have to be someone who knows what they are doing and who are able to teach you the ins and outs. Secondly, you have to understand and believe in the products you will be selling. Make sure it is something other people would want to spend their money on, in other words. Next, look into the company itself. Learn how well-established they are and what their credentials are. Finally, you need to look into the compensation plan that they offer. 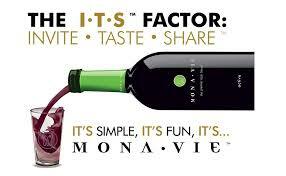 MonaVie is a very well-known company. They have been around for a long time and deliver a fantastic product. Additionally, their compensation plan is very interesting. Let’s take a more in-depth look at what this company stands for. MonaVie was founded by Dallin Larsen in 2005. He previously worked at an MLM company himself, that being USANA, where he had reach one of their top levels. Therefore, he had a great understanding of the ins and outs of this type of marketing and his own ideas on how things could be improved. He started MonaVie, which has since become one of the largest of all the direct selling companies in the world. They have a presence in more than 20 different countries, and they claim to have made a huge number of people millionaires. This has been achieved by delivering a fantastic product and a fantastic compensation plan. What Are the MonaVie Products? 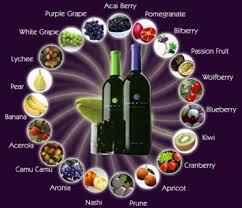 MonaVie creates a juice made from various natural ingredients, that all have amazing health benefits. The majority of juices contain acai berries, as well as 18 other different types of fruits. Besides juices, they also make blends and gel packs, purees, powders and more. All of their products are designed to increase overall health and well-being, focusing on energy and nutrition. Through a preferred customer bonus. Through your first order bonus. Through the star maker bonus. Through the executive check match bonus. Additionally, when you sign up for MonaVie, you will have access to relationship marketing. This means you will use a true face to face, person the person approach, which allows you to share the opportunity with others, building up a team. This, in turn, allows you to earn even more, depending on their performance of course. There is a start-up fee to pay if you want to become part of MonaVie. Presently, this stands at $39. The recommendation is to organize home parties to showcase the product and encourage others to join in the opportunity as well. Experts say that, on average, people earn 30% as a base commission. However, this only works if you put in sufficient effort. It is a well-established company that is still growing all over the world. This means that the time to join is now, before market saturation takes place. The products are very interesting, and since they have to be consumers, the opportunity to make regular and recurring sales is very much present. The products themselves are also easy to sell due to the proven health benefits they offer. They are all natural, full of antioxidants and vitamins and minerals. The MonaVie brand is a very strong brand, which means that people are starting to recognize it and trust it. The earning potential is very good, and the support they offer is excellent as well. It is absolutely possible to build a good business with this company. One of the main reasons for this is that the products are consumable, which means that it is very easy to build a network of returning customers. Yes, there have been a number of complaints against MonaVie, but every company of its kind has had to deal with this. The majority of complaints come from people who had unrealistic expectations about how much they can earn and how quickly they can start seeing an income. The reality is that network marketing is hard work, just as any other job is. Anybody who expects to get rich quick doing absolutely nothing will be sorely disappointed with this particular opportunity. However, if you are ready to get plugged in and really build your own business, rather than having to work in an office from nine to five for the rest of your life, then this may just be the one for you. The products focus on a niche of the market that is hugely popular, which makes it much easier to sell as well. Additionally, using home parties is a lot of fun, and a great way to quickly build up a big team of representatives that you can sponsor. I fully recommend this opportunity to anybody who wants to build their own business.